If you wanted to catch every Harry Potter movie, you’d be parked on your couch for almost 20 hours straight watching all eight flicks. And if you tried to read all of the books, it would take weeks. Or if you’re like me, you could just look at this one image, and have the entire story explained for you at a glance. The amazingly talented comic artist Lucy Knisley created this intricate cartoon illustration, which sums up the entire saga of Harry Potter. 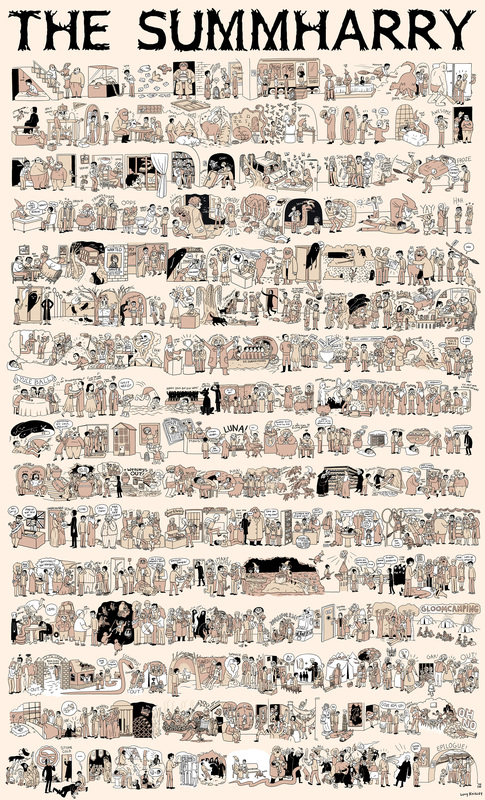 The full-size image, dubbed The Summharry measures a whopping 2700 x 4458 pixels, and covers all of the major plot points of Harry’s epic journey. I think they should stop making Cliff’s Notes and start making posters like these instead.